Quick read –> Go directly to list of best volleyballs. Playing volleyball is great fun & great exercise at the same time. Playing regularly will give great health benefits like – Burning calories and fat, shapes the body, Improves hand-eye coordination, Increases aerobic ability and is a full body exercise. If you need a fit body (Not just big muscles) then why spend money & time, lifting weights when you can get entertainment & fit body at the same time by playing volleyball. Volleyball is a widely popular game in India. India is ranks 5th in Asia & 27 in the world. Even though it cannot beat cricket in terms of popularity or number of world class players, Volleyball have its strong presence both in rural as well as urban India as a popular recreational game. Go to any rural/urban area in India, we will get to see a court set up in most of schools & play grounds. It is very simple setting up volleyball court for recreational purpose. we just need a volleyball net and ball. 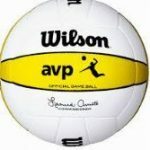 This page is dedicated to reviewing and listing best volleyball balls available online in Indian market. We take special attention to list lowest price options of each product (from different online shops). Volleyballs are categorised based on price (below) so that you can easily choose the perfect one for you. Detailed information of each product is also given in organised way. Our main emphasis while reviewing a ball would be on functionality, durability, brand value and customer feedback. We hope this is your last stop in searching for the best volleyball to buy. Standard volleyball ball is with a circumference of 65 to 67 cm (size 4). But different sizes are available for outdoor playing / for kids. Material used in good volleyball balls are leather or synthetic leather. Top Indian volleyball brands are Nivia, Cosco etc. Exported products from top foreign companies are also available online in Indian market. Cosco – Indian Sports Equipment Manufacturer based in Delhi. 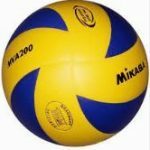 Cosco makes sports goods for football, volleyball, basketball, football, fitness equipment’s and more(List of all best balls from cosco). Nivia – One of the leading sports brand in Punjab, India. 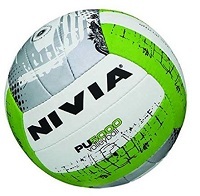 Nivia is Branded under the banner of Free Will Sports Pvt Ltd (List of all best balls from Nivia). 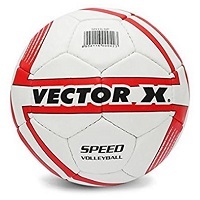 Vector – Another Indian company that manufacture and market shoes, basketballs, volleyballs, racket sports equipment’s etc (List of all best balls from Vector). As name suggests indoor volleyball is played indoor. With teams of six players on each side. Indoor volleyballs are made with natural or synthetic leather. Factors that make indoor volleyballs different from outdoor one are, less heaviness(just a little less than outdoor volleyballs), air pressure (more air is pumped into ball) and size (is a little small compared to outdoor balls). And an indoor volleyball is made by moulding/gluing (panels) where as outdoor ball panels are stitched. Read more. Outdoor volleyball/Beach volleyball Is played on sand outdoors. Members of team can range from two to six players. You can identify an outdoor volleyball by seeing stitched panels (and therefore threads) on the ball, which make them little more durable. And weighs little more than indoor volleyballs. Weight help them to withstand impact of wind while playing outside. Read more. Colour – combination of red and white. Available at a cheap price. Material used for making Nivia PU- 5000 as name indicates is PU-leather material. PU or poly synthetic leather is man made equilent of leather material. It is long lasting and resistant to dirt. It is a panel moulded volleyball but will withstand conditions in indoor and outdoor courts. One of the best selling volleyball from Cosco. Made with PU-leather and nylon bindings. This ball from puma is for outdoor/beach. 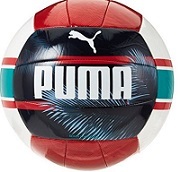 It is an original puma ball which is made for recreational or practising. This also is a machine stitched one.